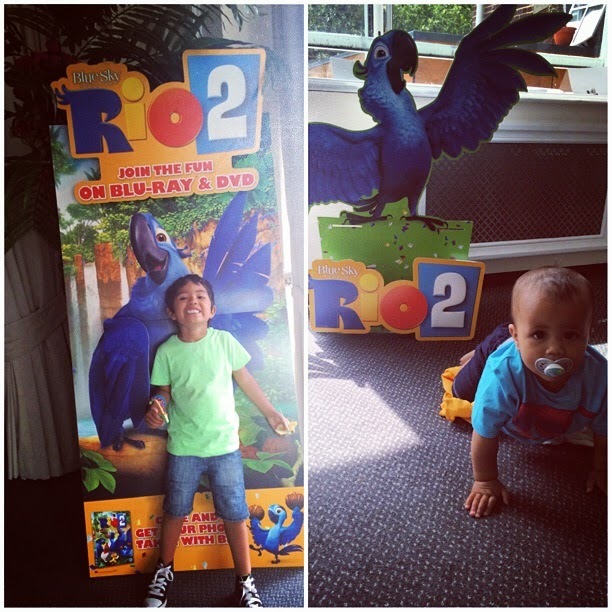 This week we were lucky enough to be sent by the Mumsnet bloggers team for a screening of Rio2 (released now on DVD & BluRay) and what made this screening even more special - it was in London Zoo. M sure was a lucky and excitable little boy. Running up to the gates telling everyone who would hear he was here to watch Rio2 and his name was Maxwell, oh and don't forget my little brother Nathaniel. The screening took place in the top floor overlooking the zoo courtyard. 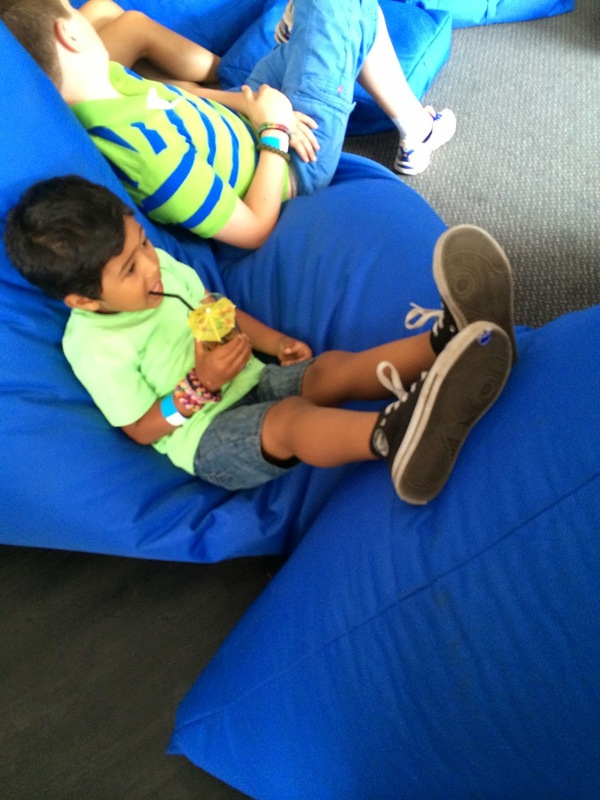 It was full of excitable children, blue bean bags bigger than our sofa and yummy treats of fresh fruit, fruit juices and macaw shaped cookies. Following the screening we took a wander round the zoo (N slept the whole walk round) but it was still fun seeing the excitment on M face as he saw some of these animals. 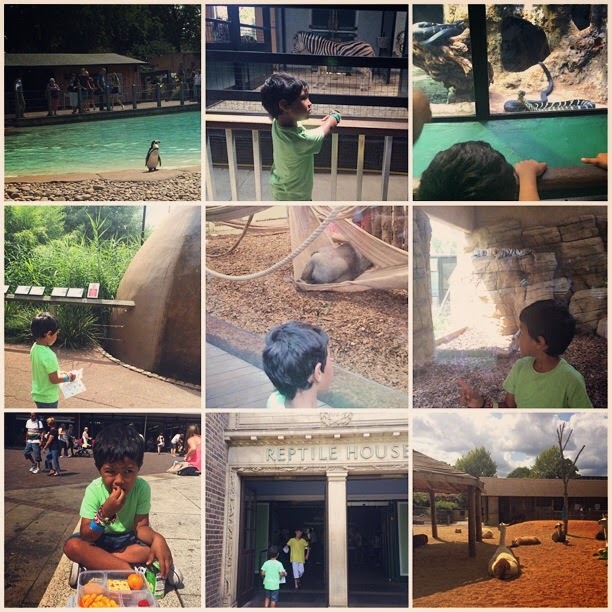 He loved seeing the snakes and the giraffes. Also he keeps telling everyone the tiger paw was as big as his head. It's been many years since I hae been to London Zoo and it was lovely. The screening of the film was a big hit with big boy (so much so we had to watch it again when we came home!) he loved the fireworks bit with the small macaws. I really enjoyed the musical numbers - the Barbetuques performed live for us too. They showed the children how they can make different sounds using their bodies - from different types of clapping, to clicking fingers to make sounds with your mouth. N loved this bit and bounced and danced about to the music. For a "childrens" film I did enjoy it - it looks lovely so bright and colourful with plenty of jokes in the diologue to keep you entertained. It really is quite funny. Rio 2 is out now on DVD, BluRay and digital download - I would definatley suggest picking it up for a summer holiday treat. 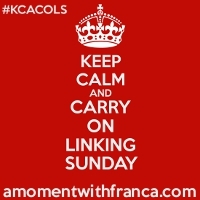 However you could also win a copy by writing your own blogpost and linking up here to the linky. There are five copies up for up for the winning! Good Luck.